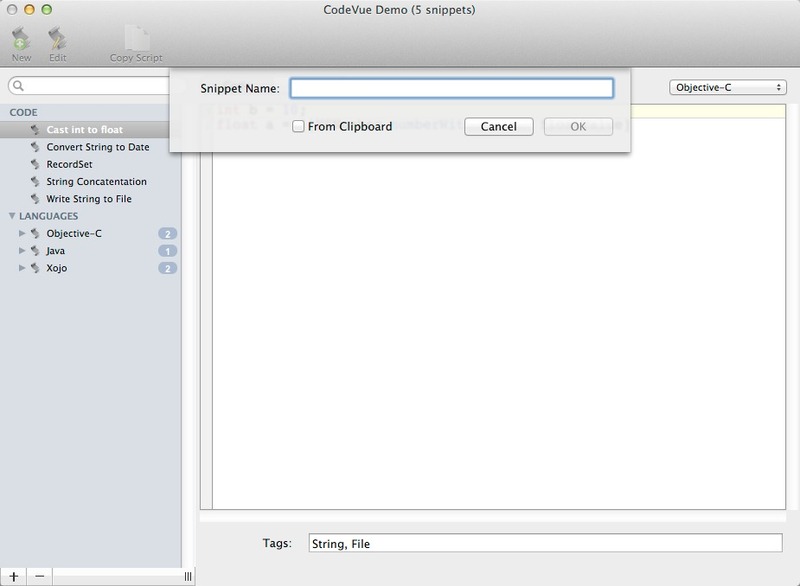 Manage snippets for a variety of programming languages. Is there a better alternative to CodeVue? 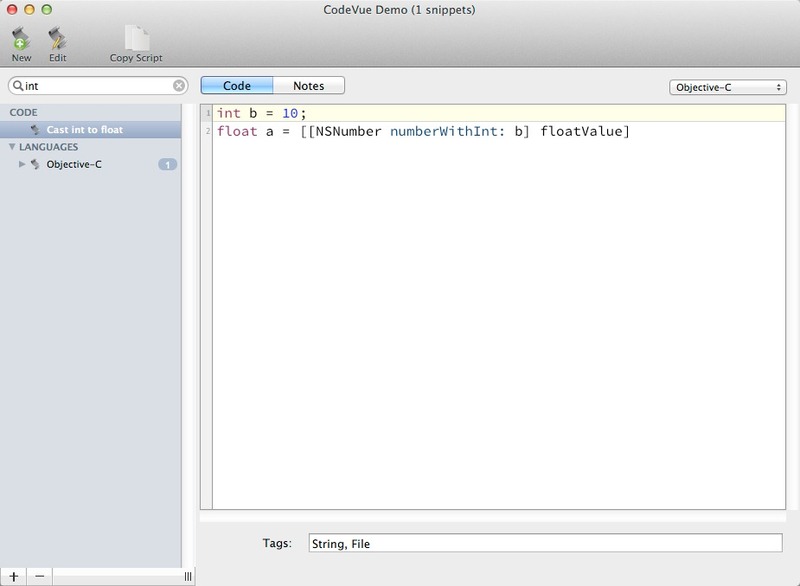 Is CodeVue really the best app in Developer Tools category? Will CodeVue work good on macOS 10.13.4? CodeVue helps you organize your programming life. Why waste time trying to find code snippets in other projects or on the Internet when you can quickly and easily use CodeVue to find what you need? 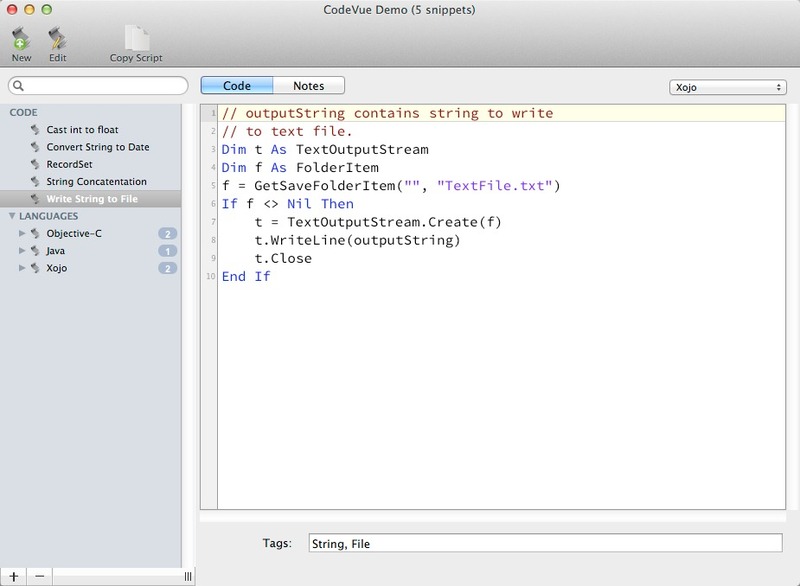 CodeVue is a code snippet manager for a variety of programming languages, including: C/C++, HTML, Java, Objective-C, PostgreSQL, TransactSQL, VHDL, Visual Basic, XML and Xojo (Real Studio). CodeVue needs a review. Be the first to review this app and get the discussion started! CodeVue needs a rating. Be the first to rate this app and get the discussion started!